We've got some exciting news to share! 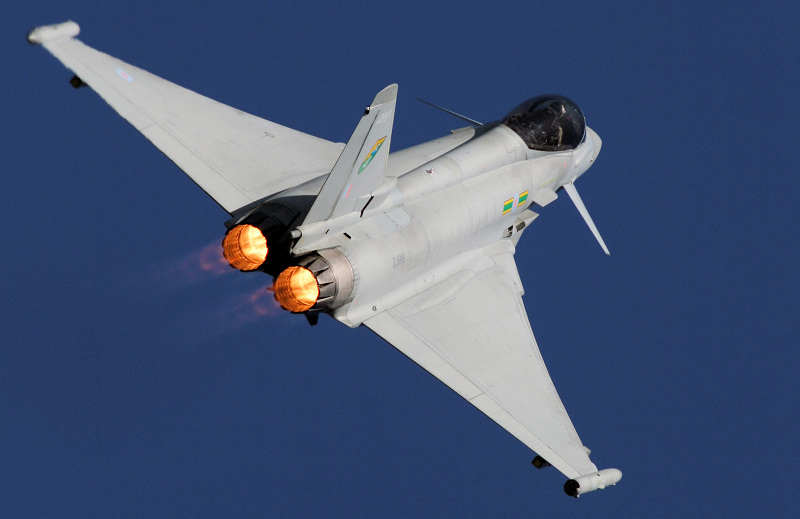 - Teignmouth Airshow 2019 - Military Airshows News & Press Releases. We've got some exciting news to share! This week, we finally received an email from the RAF confirming our first 3 displays for Teignmouth Airshow! The planes that have been confirmed so far are the RAF Typhoon, RAF Spitfire and the RAF Falcons Parachute Team. Unfortunately, we have not been successful on securing the Red Arrows for this year, but we remain hopeful for 2020. We are still waiting to hear from other display teams and will release this information as soon as it is available. We are very excited to have the opportunity to put on an Airshow for Teignmouth and we are continuing to raise the necessary funds that are needed. We will be making the decision over the next week as to whether we have managed to raise enough to go ahead. We have a public meeting planned for the Thursday 4th April at 6.30pm at the Rugby Club, Bitton Park Road, for anyone in the town centre that is concerned about any road closure that may affect them. We are also still on the hunt for volunteers to get involved and give us a hand in the lead up to, and on the weekend of the Airshow! If you think this is something you would be interested in, drop us an email at info@teignmouthairshow.co.uk and let us know how you want to get involved! We thank everyone for the continued support we have received from members of the public to businesses in Teignmouth, to corporate sponsors. We would not have been able to get this far without you!